Skip the side of fries, they're INSIDE the burger! With Burger King's NEW French Fry Burger you can enjoy the taste of a burger 'n' fries all in one bite. 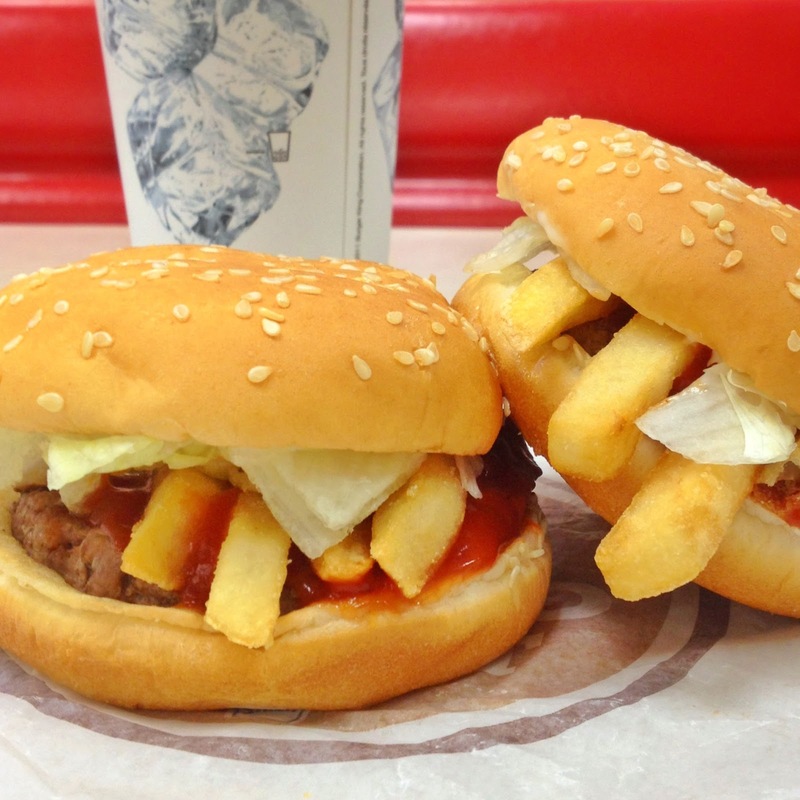 Each burger comes with BK's signature flame broiled beef patty, crisp iceberg lettuce, mayo, ketchup and 4 WHOLE FRIES. Grab 2 and make it a meal!